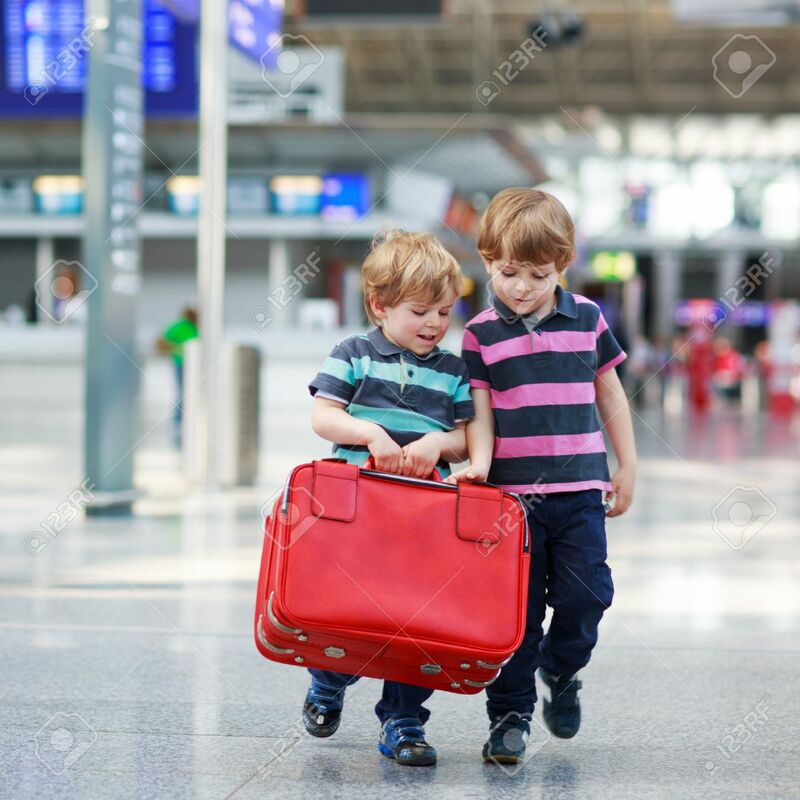 Two Little Sibling Boys Having Fun And Going On Vacations Trip With Suitcase At Intrernational Airport, Indoors. Kids And Friends Holding Red Suitcase And Walking To The Gate. Royalty Free Fotografie A Reklamní Fotografie. Image 36715082. Reklamní fotografie - Two little sibling boys having fun and going on vacations trip with suitcase at intrernational airport, indoors. Kids and friends holding red suitcase and walking to the gate. Two little sibling boys having fun and going on vacations trip with suitcase at intrernational airport, indoors. Kids and friends holding red suitcase and walking to the gate.